If you use this MOD,followers team can go for a trip. They will visit towns and dungeons etc. And they will also ride horses and Automaton! I can not speak English. This text is the thing created by machine translation. 1.After installation, the barrels will appear near the entrance of Riverwood. Get the "leader symbol" and "members symbol" in the barrel. 2.Please pass "leader symbol" to the followers of the leader candidates. 3.Please be fired followers of the leader candidates. When the talk again, you can tell the journey. 4.Please pass "members symbol" to the followers of the member candidates.5.Please be fired followers of the member candidates. When the talk again, you can tell the journey. Members will follow the leader. ・Team Ａ~E : They will visit towns. 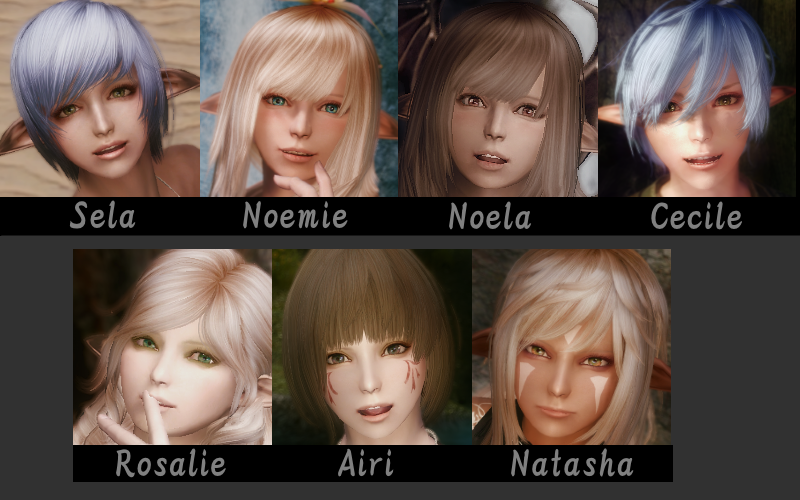 ・Team F : They will visit Dragon Lairs. ・Team G : They will visit Bandit camps. ・Team H : They will visit Vampier dungeons and Necromancer dungeons . ・Team I : They will ride on Horse and visit towns. ・Team J : They will ride on Automaton and visit towns. ・Members of teams A - H stop wandering on Sunday and return to their original waiting place. ・Members of Teams I ~ J stop wandering on Saturday and Sunday and return to their original waiting place. ・Taeam I and J can only start wandering in the suburbs on weekdays. ・If the member who canceled the wandering does not return to the original standby place, it will return to original after about 3 days. ・In alphabetical unit of the symbol, you can set the team. ・You can specify the team members up to four people. ・Followers will go for a trip , but not on Sunday. They will come back to their default location on Sunday. 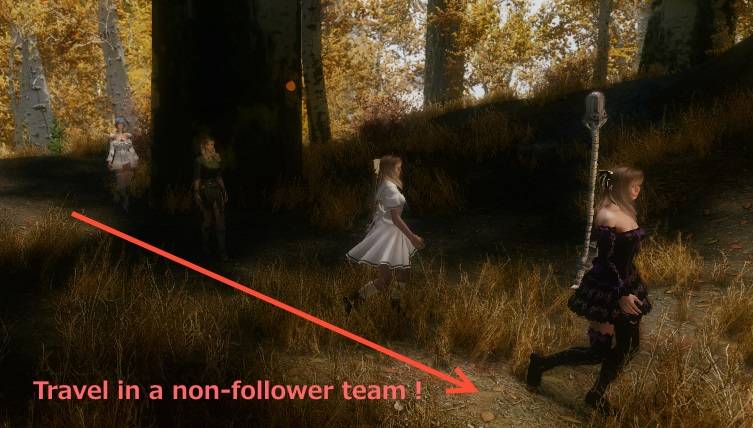 ・There is a possibility to compete with other followers add-on MOD.